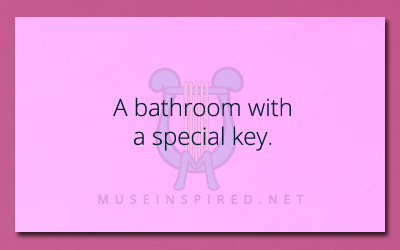 Describe the Setting – A bathroom with a special key. Describe the setting! A bathroom with a special key.